If you are searching for a fashion line that blends African ways with the sleek westernized culture in a sophisticated and colorful manner, then Amy Newton with her label “Fro-Nationale” should be on the top of your list. With the skillful combination of her own original artwork, rich in color and texture, which she prints onto fabric, constructing dresses and coats, is the quintessential Africana line complementing the feminine figure. The line is powerful, effortlessly celebrating the sexiness of women everywhere. Born in London, UK, Amy has been an NYC native for the last 6 years. She was educated in NYC at FIT, expressing her creativity though her line with her unique designs and meticulous detailing. “Fro-Nationale is a universal brand that creates beautiful pieces for the modern woman from all walks of life. My graphics depicts symbols of unity and strength, which I present in a vibrant format. My pieces are of the highest quality both in the fabric used and the contemporary cuts designed to flatter her in all the right places. My goal is to make women feel both beautiful and fashion forward, whether in the office, out on the town.”, says Amy Newton, CEO and designer. “We recognize that there is so much talent that exists in the fashion industry and want to expose it to buyers and press. Amy Newtown’s ‘Africana’ collection is chic style epitomized.”, says Davina Reichman Schuck, Director & founder of NYC Fashion Runway. 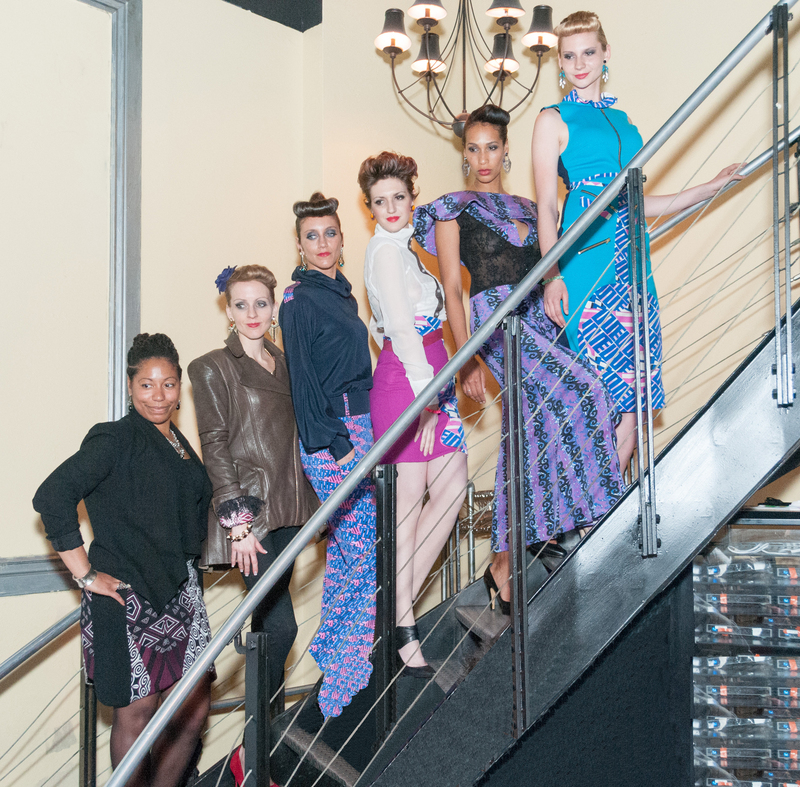 Models for Fro-Nationale: Martina Colombo, Carly Phillips, Alessia Cirilli, Kasius Williams, Shaina Renee’, Marta Cielepa, Rachel Ruiz-Ramos & Noellyta Bahonda.